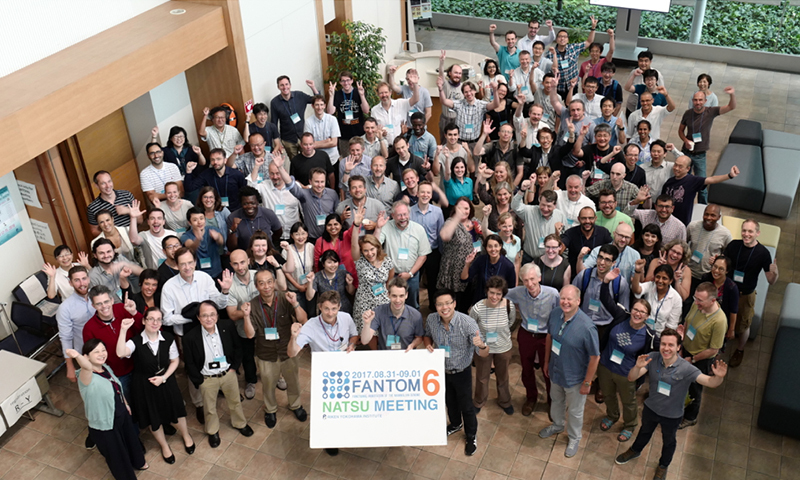 The FANTOM6 meeting was held in Yokohama Campus. 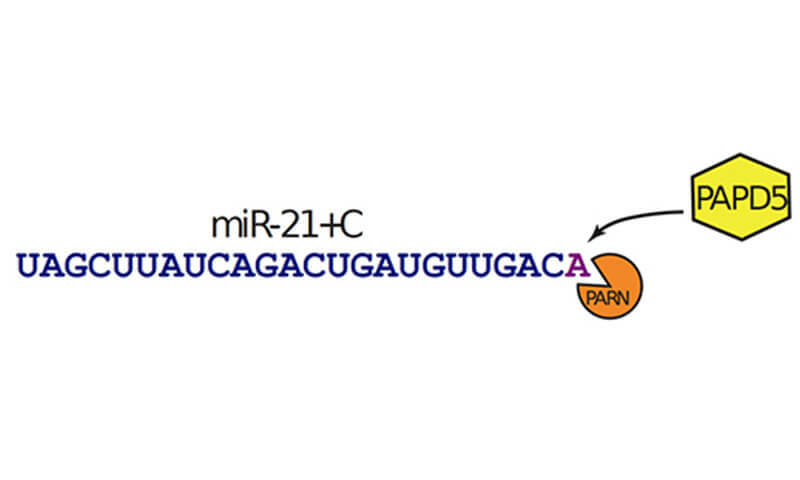 In the research published in Nature Biotechnology, the scientists showed that the genomic control regions of microRNAs identified in this study were highly conserved in evolution, underlining their importance in cellular regulation. 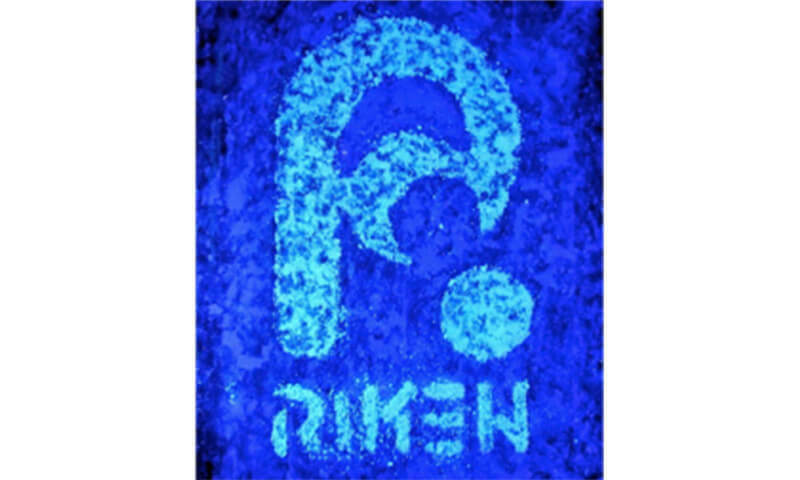 RIKEN CLST-DAIKIN Collaboration Center was opened. 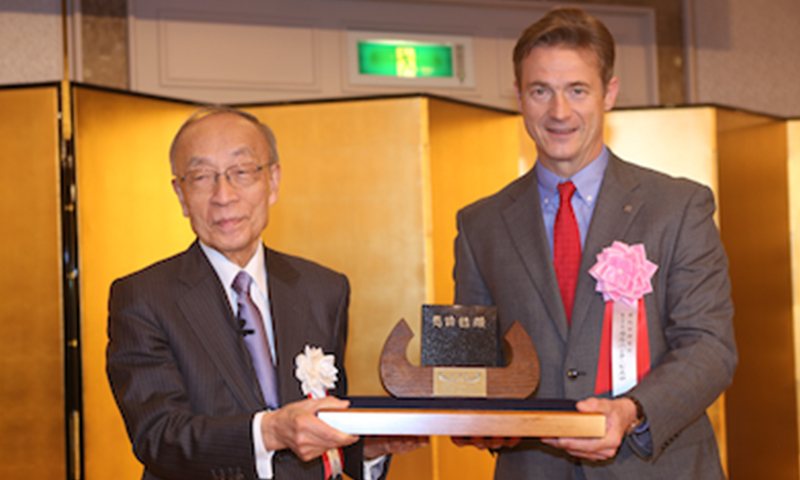 On December 8, Piero Carninci, RIKEN CLST Deputy Director, was awarded the Shimadzu Prize 2016. 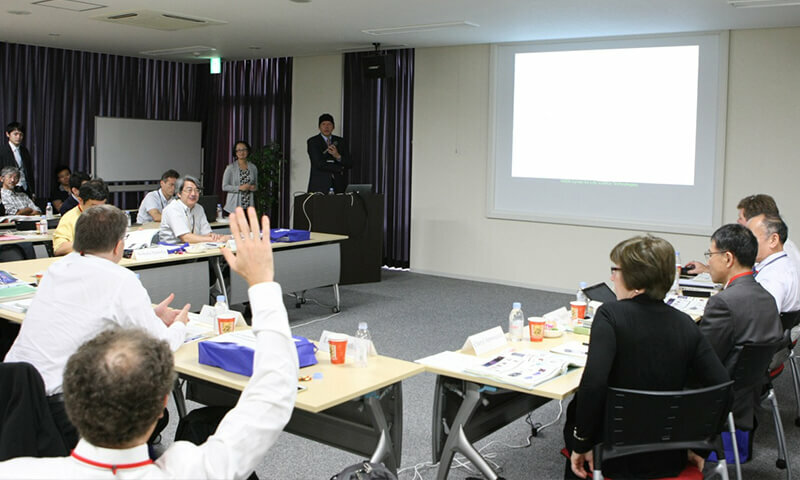 The prize is presented by Shimadzu Science Foundation, which was established by the Japanese manufacturing company Shimadzu Corporation. 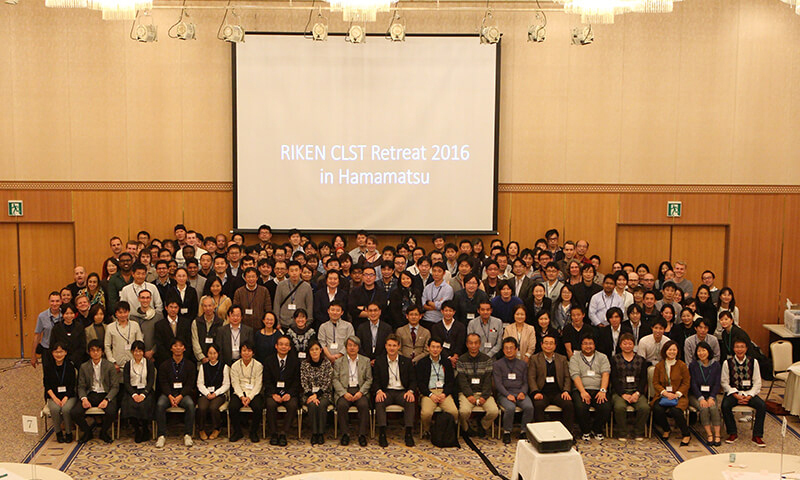 The 2nd CLST Retreat was held. 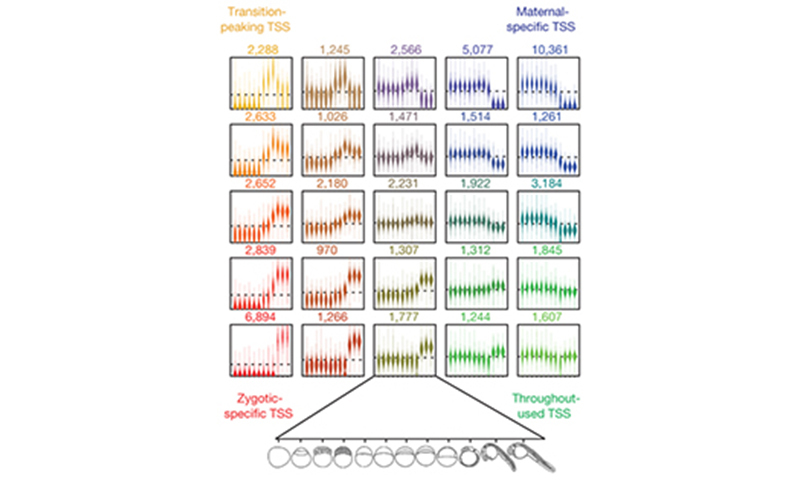 One of the biggest surprises of the past decade of genomic studies was the discovery that, contrary to previous belief, the majority of the genome is not used to produce proteins. 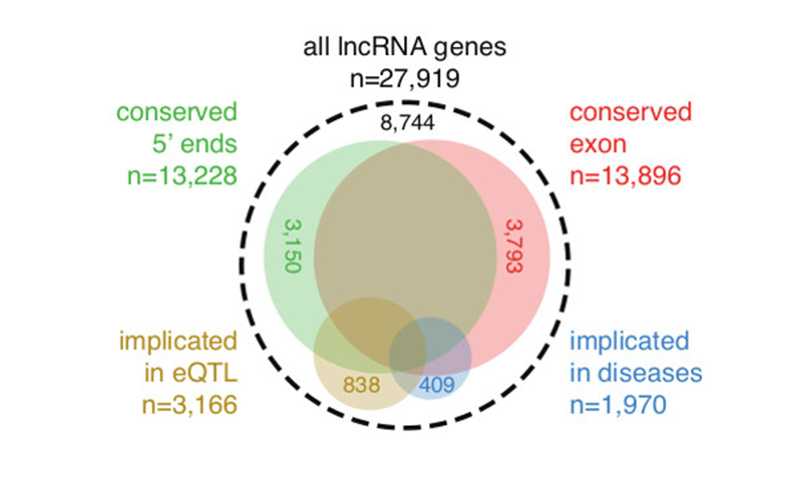 Initially, many scientists thought that these long non-coding RNAs were non-functional “noise,” but in recent studies, a growing fraction of these lncRNAs have been found to have regulatory functions. 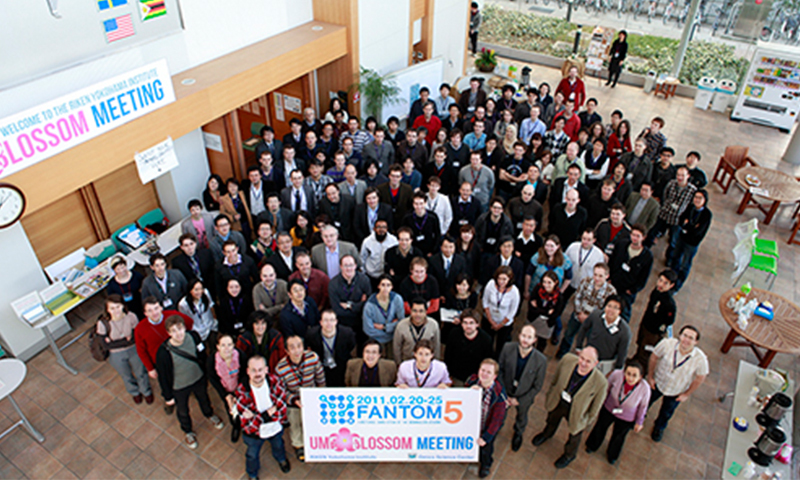 FANTOM5 received 2016 Scopus Eureka Prize for Excellence in International Scientific Collaboration. 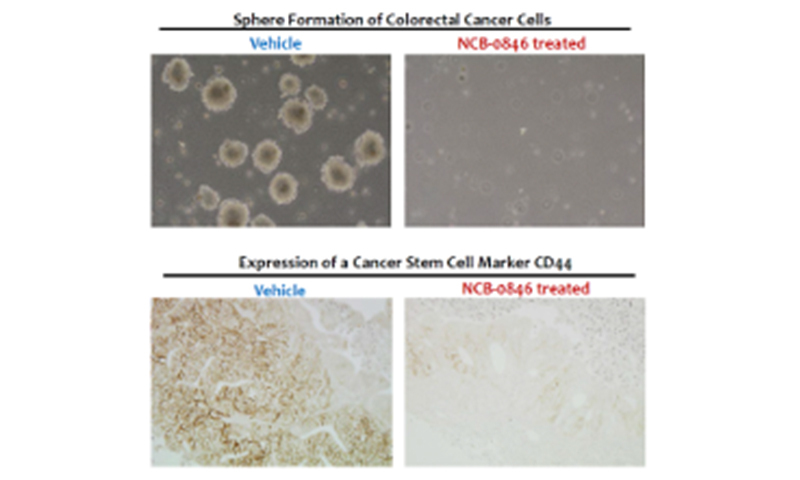 In research reported in Nature Communications, a research team led by the National Cancer Center and including scientists from the RIKEN CLST, and Carna Biosciences, Inc. has developed a new compound, NCB-0846, which blocks WNT signaling—a key pathway in the proliferation of colorectal cancer stem cells. 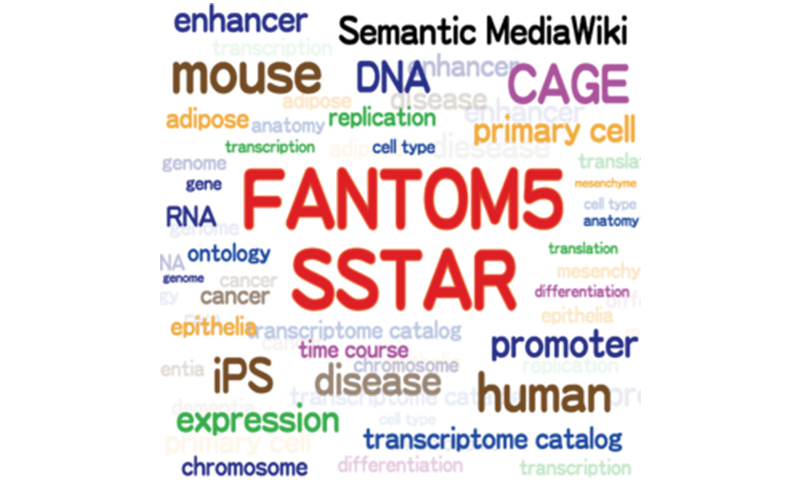 Scientists from Large Scale Data Managing Unit developed a database system, SSTAR (Semantic catalog of Samples, Transcription initiation And Regulators), to enable accesses to useful results from the FANTOM5 project. 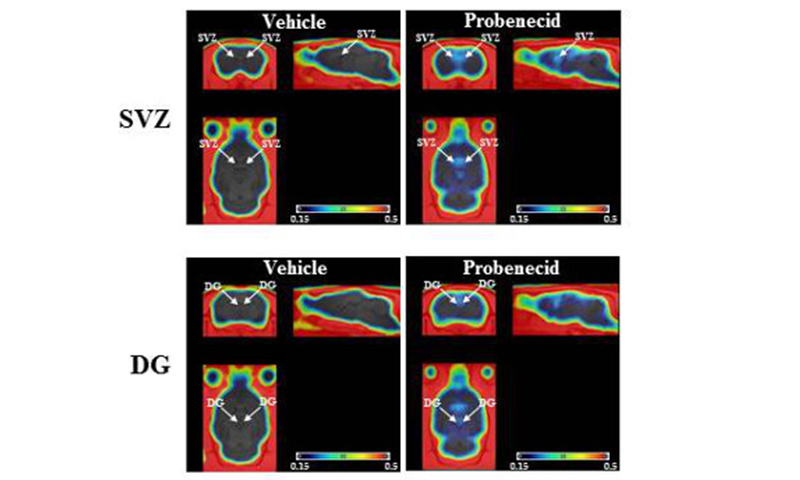 Scientists from Cellular Function Imaging Team have used a new non-invasive PET scanning technique to obtain images of neuron proliferation in the subventricular zone and subgranular zone of the hippocampal dentate gyrus. Neurogenesis in the hippocampal dentate gyrus is known to be particularly affected by depression. 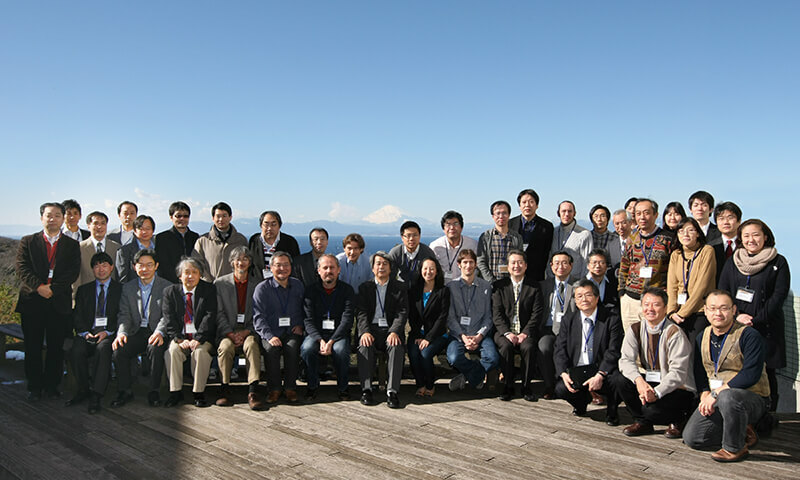 The 2nd CLST Advisory Council was held at Yokohama. 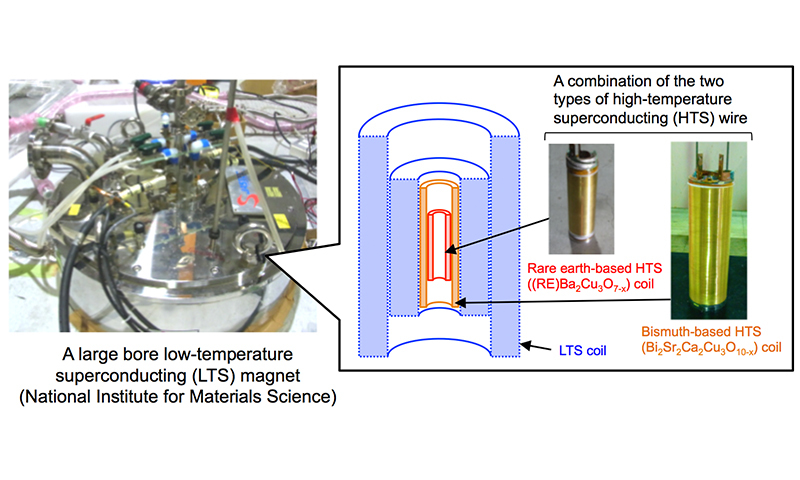 The research team of RIKEN CLST, National Institute for Materials Science, Japan Superconductor Technology, JEOL RESONANCE and Chiba University has developed a superconducting magnet generating a 27.6 Tesla magnetic field (January 20th, 2016), which is a world record of magnetic field strength for fully-superconducting magnets (as of April 1st, 2016). 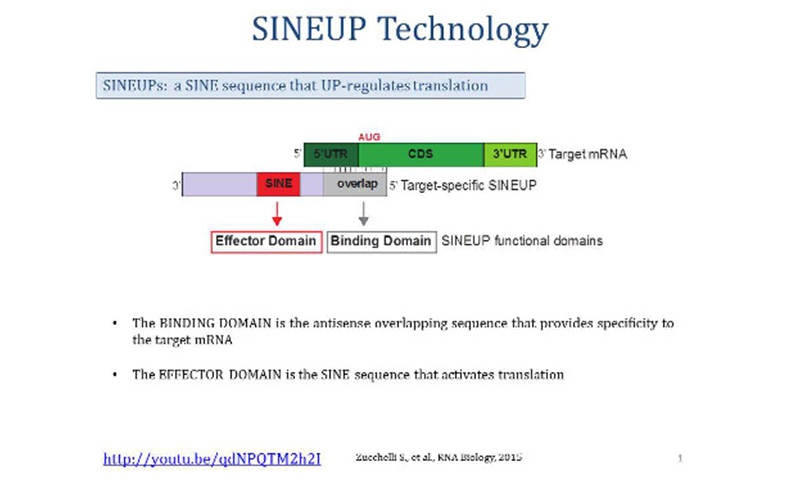 The project of "Integrated life science research to challenge super aging society" started. 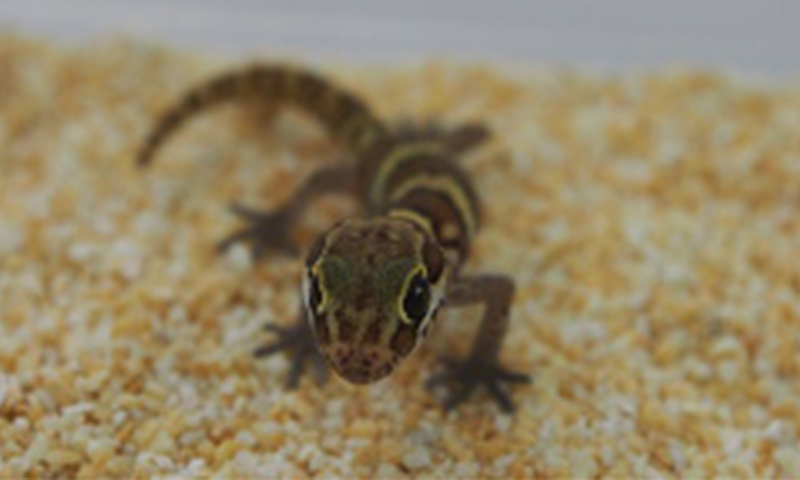 Shigehiro Kuraku from the RIKEN CLST in Kobe and his colleagues focused their sights on the ocelot gecko (Paroedura picta), an adorable lizard from Madagascar, and produced an inventory of functioning genes in embryos of this species, with the goal of pinpointing the genes involved in its development. 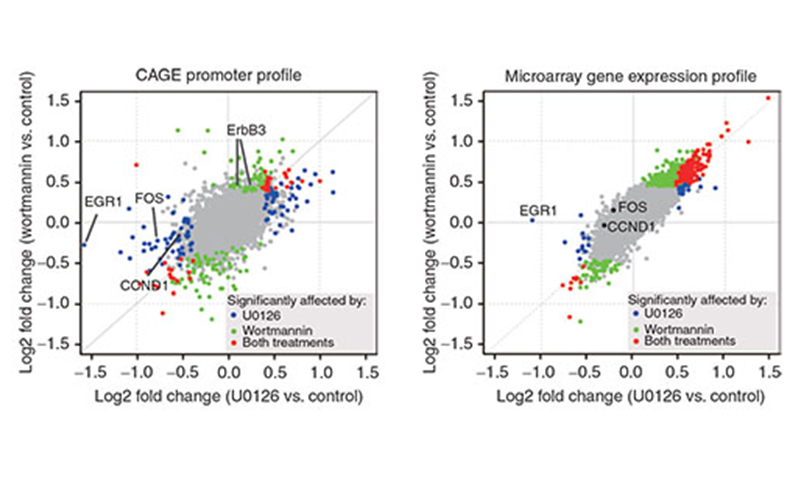 Research conducted at the RIKEN CLST and the Harry Perkins Institute of Medical Research in Australia has identified a large number of genes that are upregulated in many different types of cancer, opening the door for developing biomarker tests that could be used to detect cancers early, allowing for prompt treatment. An international group led by RIKEN and INSERＭ in France have found that retroviral long-terminal-repeat (LTR) promoters—a type of repetitive element that are widely distributed in the human genome—are highly activated in hepatocellular carcinomas, the most common type of liver cancer. 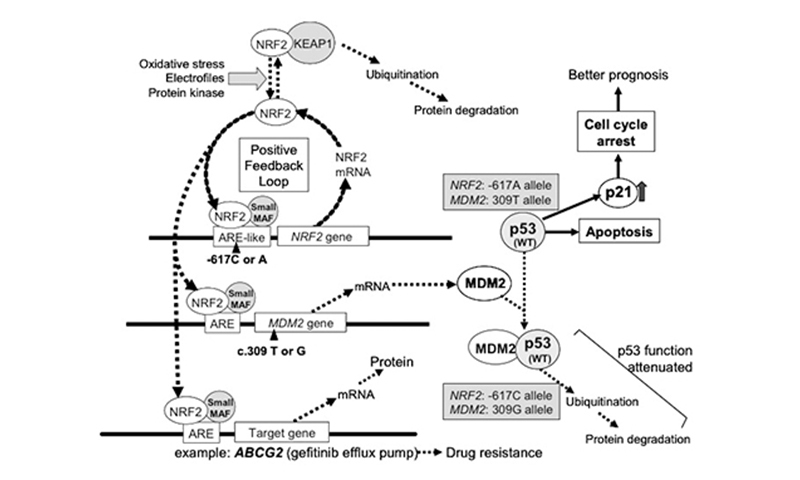 It suggests that the activation of LTR promoters might contribute to the development of cancer in the liver. 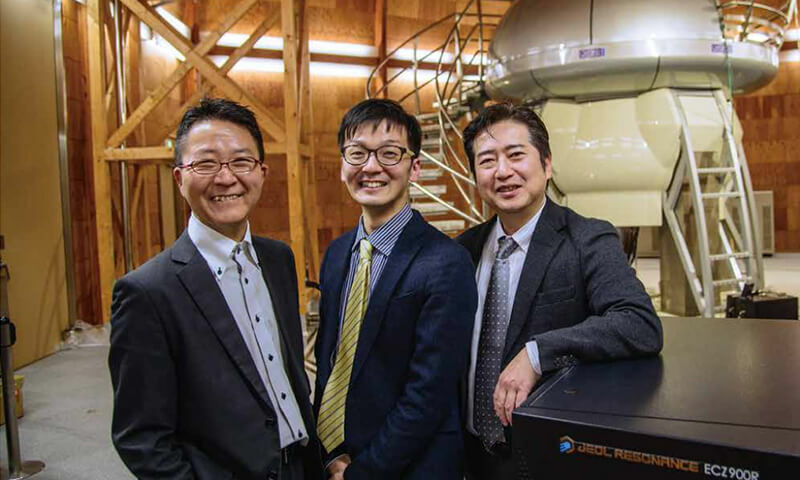 A chance observation led to RIKEN CLST researchers discovering an organic compound whose fluorescence wavelength varies greatly when it is subjected to a mechanical force. This property makes it an attractive material for various applications in security as well as medical imaging and therapy. 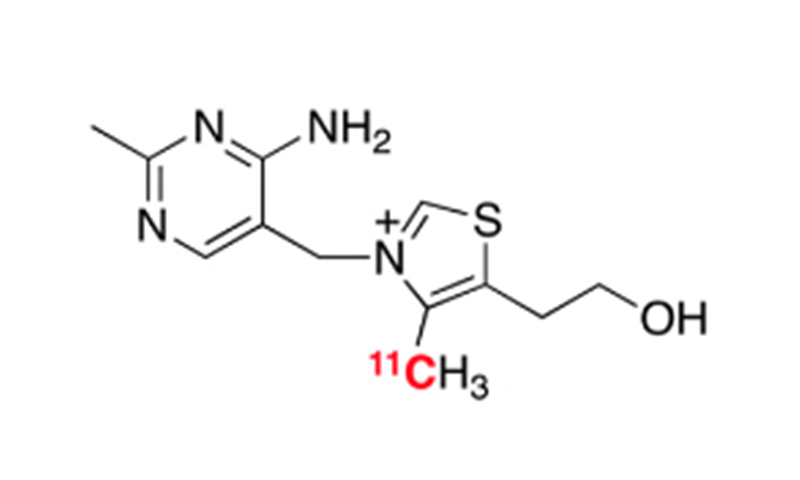 Researchers from the RIKEN CLST announced the development of a technique to "tag" vitamin B1 and a thiamine analogue, fursultiamine, with a short-lived radioisotope of carbon, 11C (which has a half-life of 20.4 min), allowing the use of PET imaging to determine how the vitamin spreads through the body following injection. 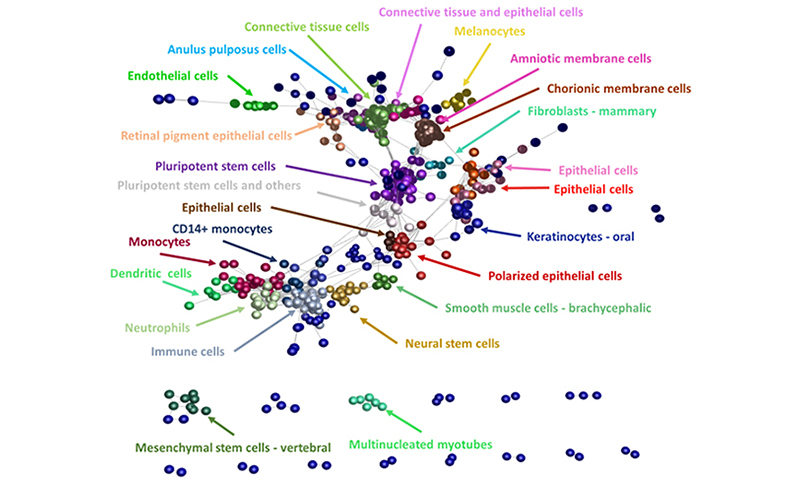 A research group led by scientists from the RIKEN CLST has published an overall map of how the cells in the human body communicate by systematically analyzing the relationship between ligands—substances such as insulin and interferon that embody messages between cells, and receptors—the proteins on cell surfaces that receive these messages when bound by the ligands. 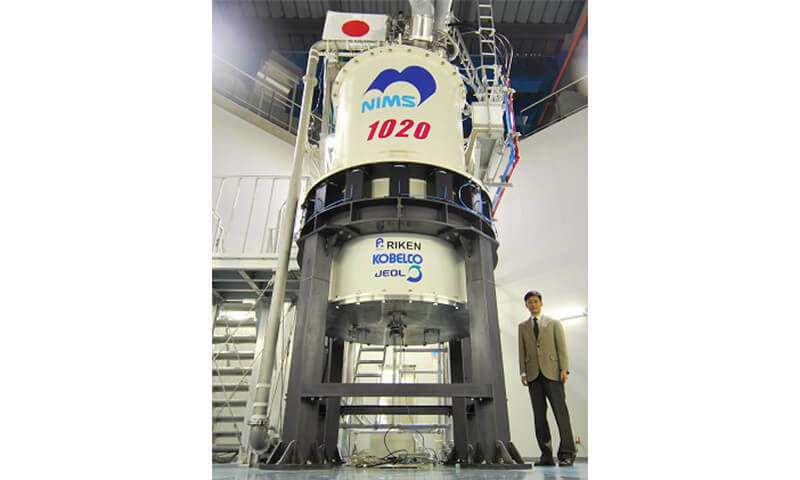 The research team of NIMS, RIKEN, Kobe Steel and JEOL RESONANCE successfully developed the NMR system equipped with world’s highest magnetic field, 1,020 MHz, supported by the JST-SENTAN program “Development of Systems and Technology for Advanced Measurement and Analysis”. Publication Approval Support System (PASS system) has started. The PASS system is a database system which consolidates all research achievements such as published papers, books and presentations at CLST. 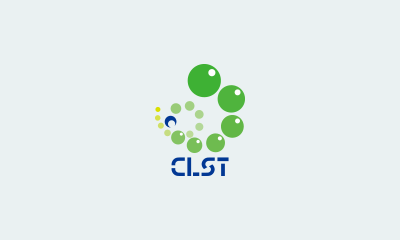 It is not only a database to archive/store the research achievements of all divisions at CLST but also works as a communication tool between co-authors and PIs when they publish the research achievements. Confidential information, such as un-published research papers is strictly protected by setting up the editor/viewer level for each user. 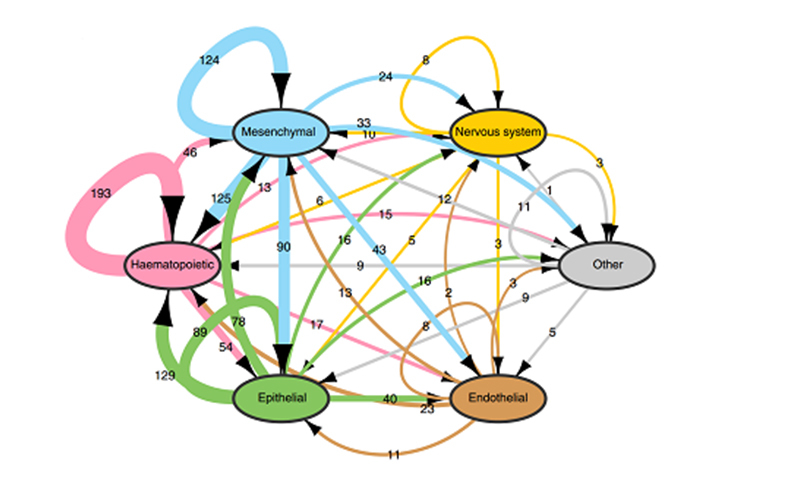 After the paper published, information of the published paper is collated automatically from public database such as PubMed, at the system. 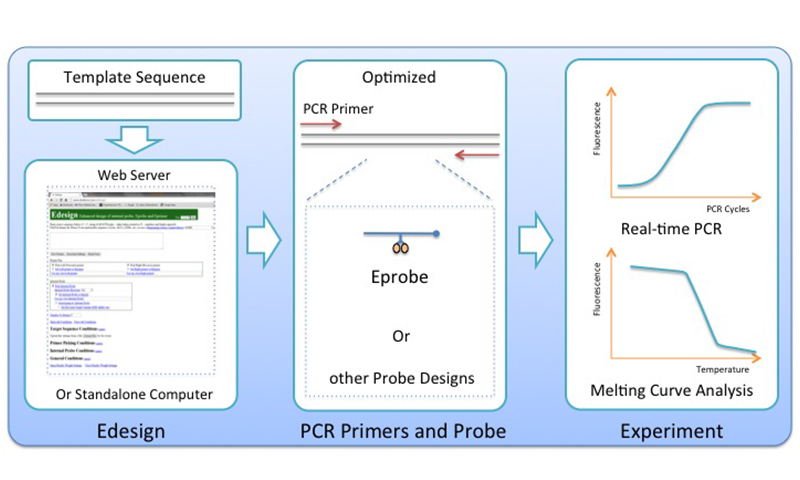 This project aims to develop a highly precise analysis technology makes it possible enables to measure the properties of the individual cell and its dynamic change. 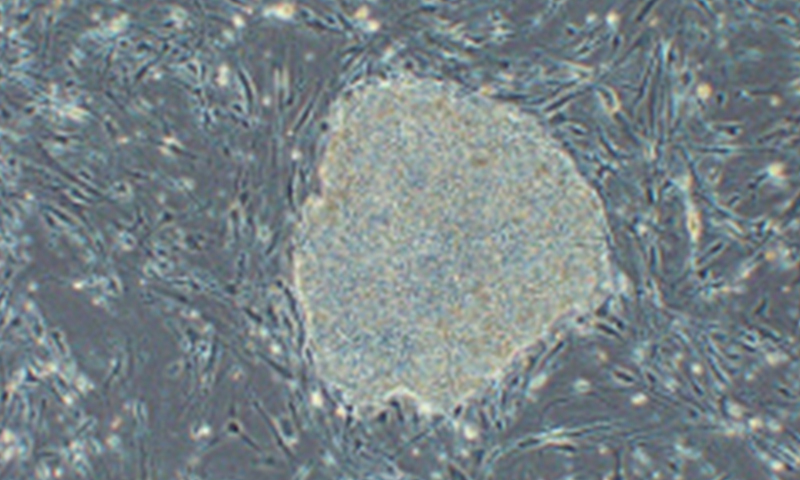 A group of scientists led by Piero Carninci of the RIKEN CLST analyzed the genes that are transcribed in the nuclei of embryonic stem cells and iPS cells—a type of cell that is reprogrammed from normal somatic cells with the intention to have them act like stem cells—and discovered that there are significant differences between the two. 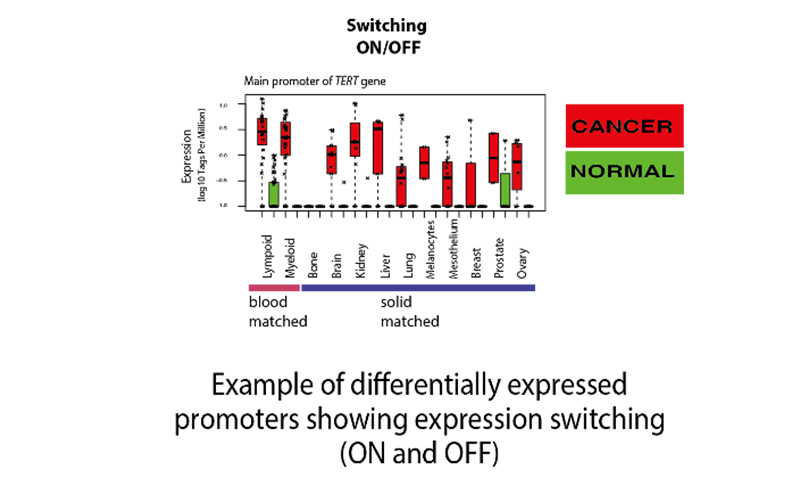 Scientists from the RIKEN-led FANTOM5 consortium showed that when cells undergo phenotype changes such as differentiation into specialized cell types, the initial activation takes place at DNA regions called enhancers, a type of regulatory ""switch"" which are typically located far from the genes that they activate. 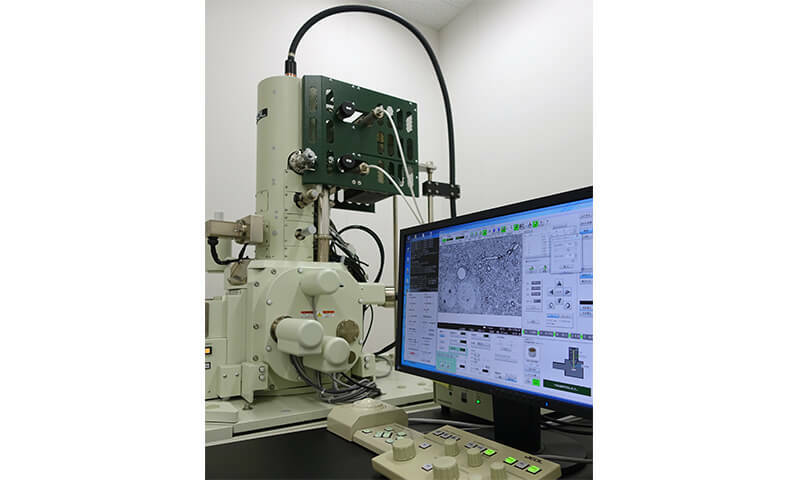 A new electron microscope system was introduced in Kobe campus. The electron microscope system which enable to obtain an ultra-fine structure images of brain and various tissues over 1 square millimeter range. We enhance the "Micro-morphomics" research with the fine structure of biological tissues and cells as big data by using this system. 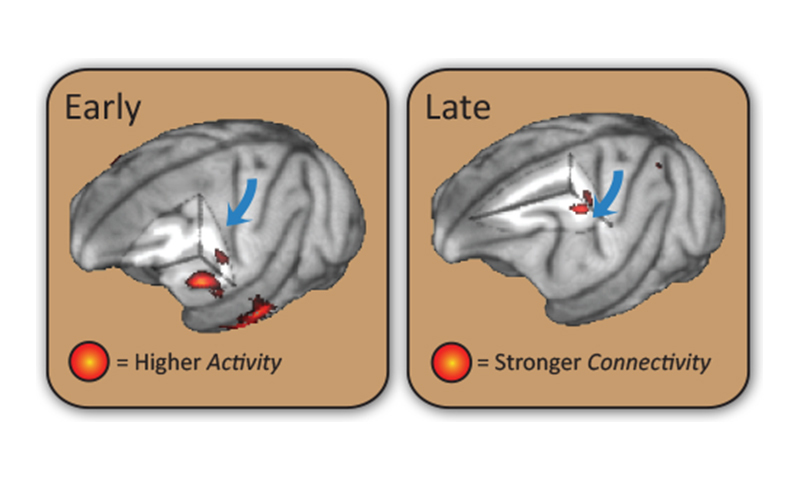 Scientists at the RIKEN CLST, along with researchers from the AIST Human Technology Research Institute in Japan, have identified a time-dependent interplay between two brain regions that contributes to the recovery of motor function after focal brain damage, such as a stroke. 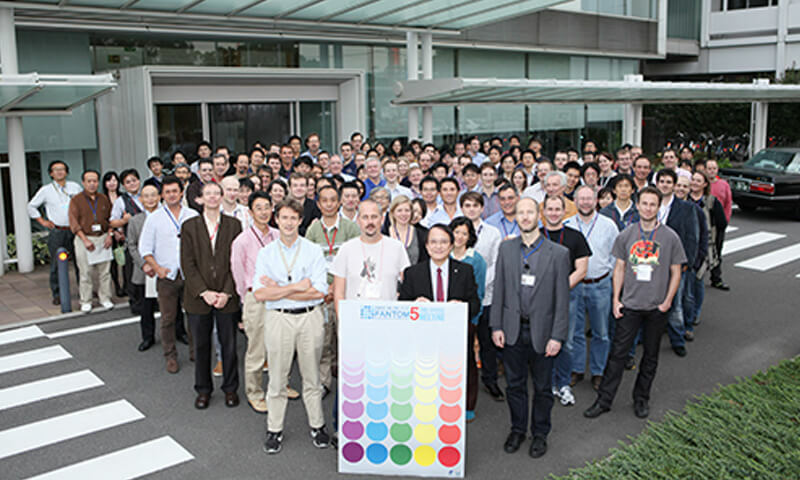 By reorganization of RIKEN CDB, 5 laboratories have been joined to CLST as Biosystem Dynamics Group. 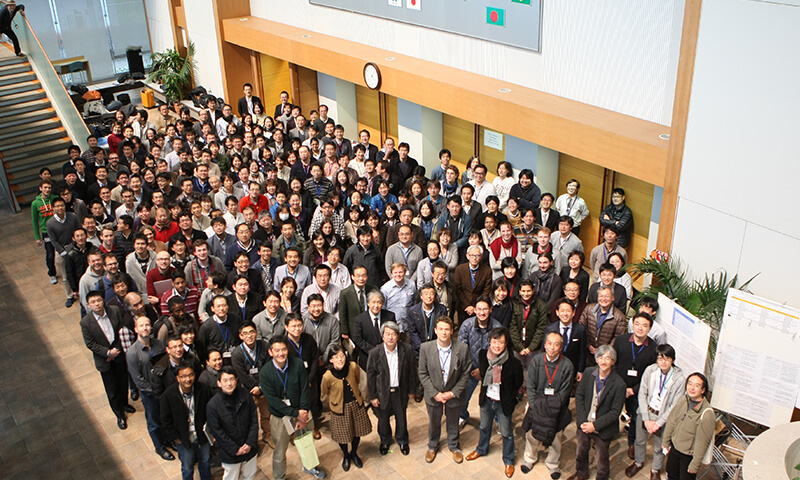 RIKEN CLST-JEOL Collaboration Center was opened. 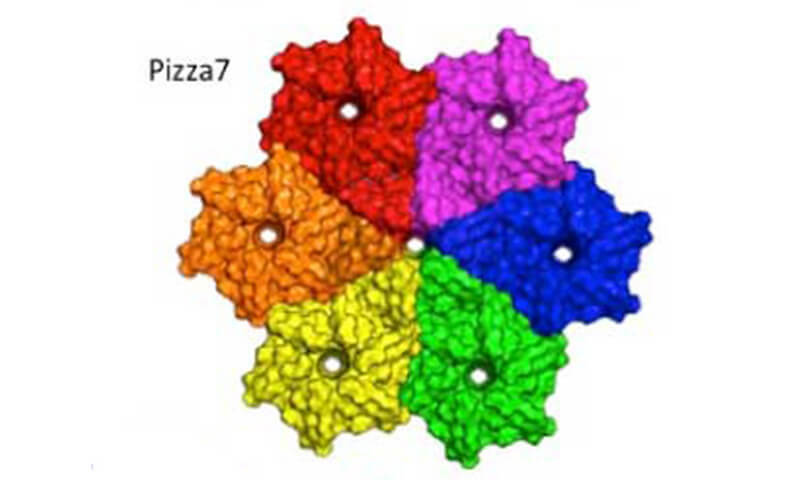 Scientists from the RIKEN CLST and Yokohama City Univercity, using a novel computer-aided, developed a design method of a perfectly rotational symmetric artificial protein which was nicknamed as pizza shape. 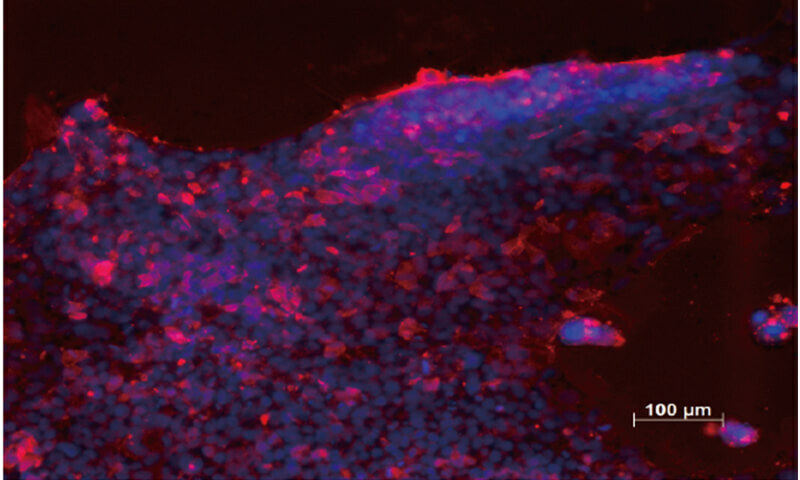 Scientists from the RIKEN CLST have gained new clues that suggest the existence of a regulatory network that contributes to the irregular proliferation of cells in diseases such as cancers and psoriasis. Molecular Network Control Project started. This research project aims to create the technologies to develop “control molecules” that regulate specific cellular pathways, and deliver such molecules specifically to targeted cells in a body. Such platform technologies will help to analyze how the networks of molecular interactions support particular biological activities, and also push the boundaries in terms of drug discovery and medical treatment. 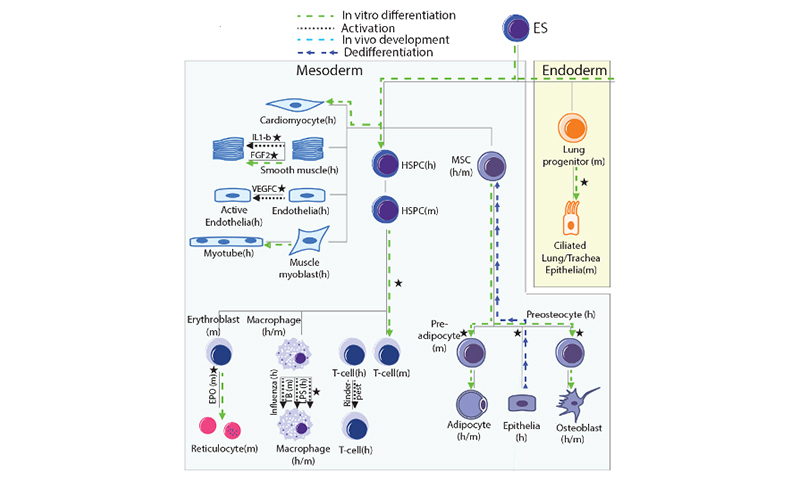 A group from the RIKEN Center for Life Science Technologies in Japan has gained new insight into the role of CCL2, a chemokine known to be involved in the immune response, in the enhancement of stem cell pluripotency. 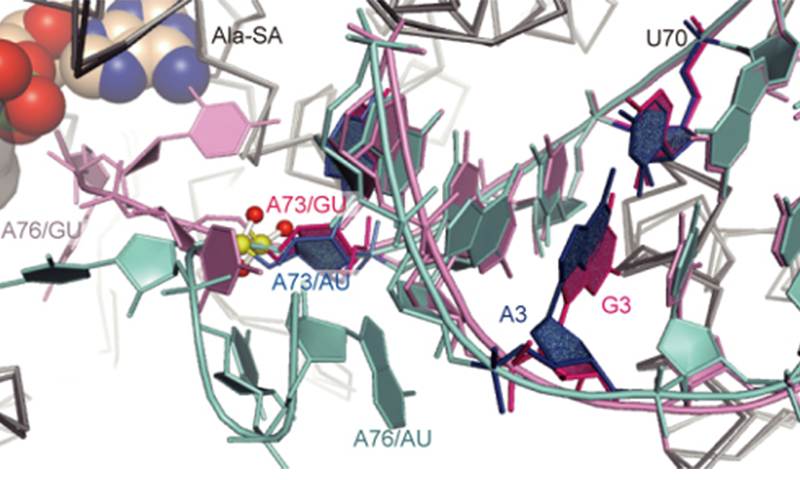 Scientists from RIKEN, along with colleagues from the University of Tokyo and other institutions, have identified a surprising mechanism that allows one of these enzymes, alanyl-tRNA synthetase, to properly assemble a tRNA molecule with its cognate proper amino acid, alanine, allowing cells to accurately translate their genetic code into the proteins that are essential for biological functions. The study, headed by Drs. 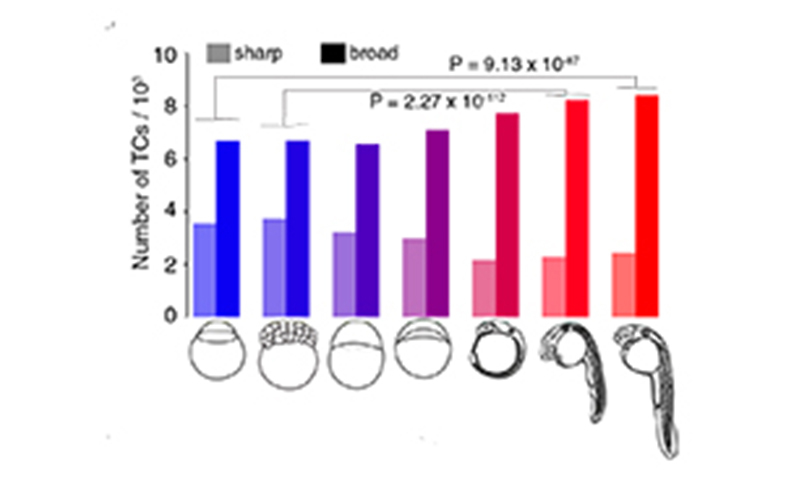 Thomas Launey, Unit Leader at RIKEN BSI and Charles Plessy, Unit Leader at RIKEN CLST, and published in Genome Research, succeeded in identifying several thousand RNAs that are enriched in rat Purkinje neurons. 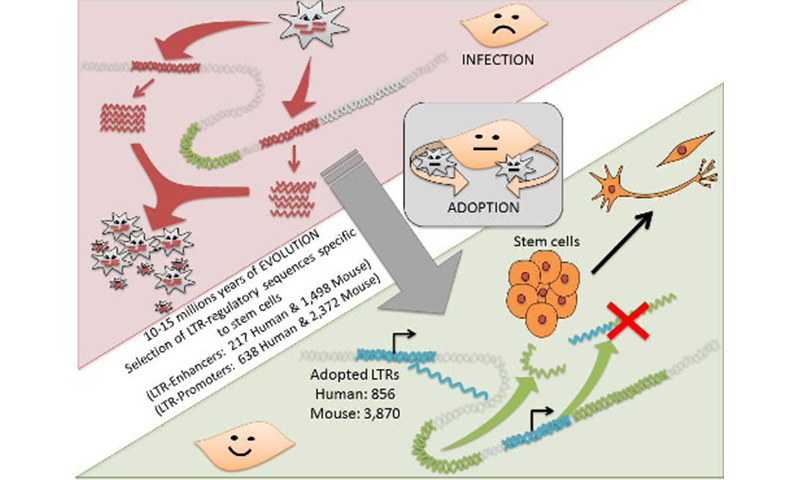 In a study published in Nature Genetics, scientists from the RIKEN CLST and their collaborators have discovered that "jumping DNA" known as retrotransposons—viral elements incorporated into the human genome—may play a key role in the maintenance of pluripotency, the ability of stem cells to differentiate into many different types of body cells. 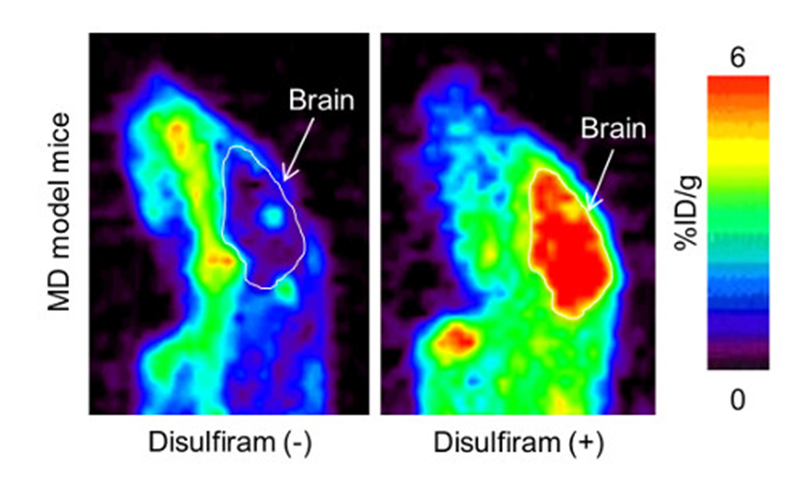 Researchers at the RIKEN CLST and their collaborators have used functional PET imaging to show that levels of neuroinflammation, or inflammation of the nervous system, are higher in patients with chronic fatigue syndrome than in healthy people. 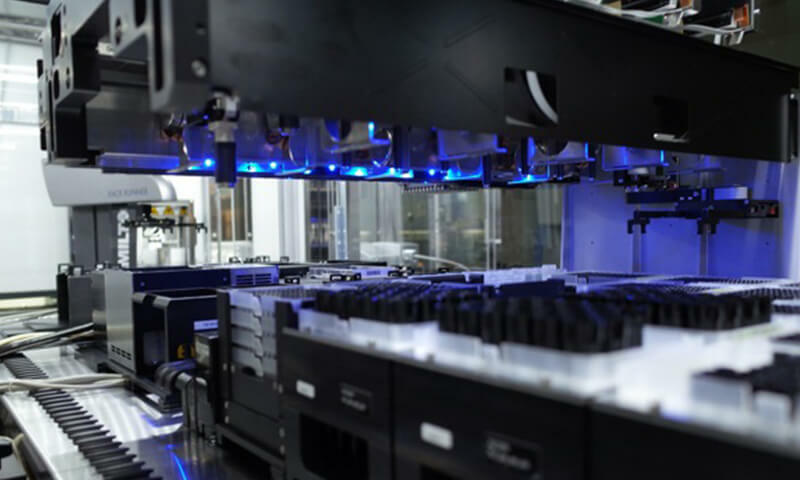 ASSIC, automated cell culture system, was introduced in Yokohama Campus. 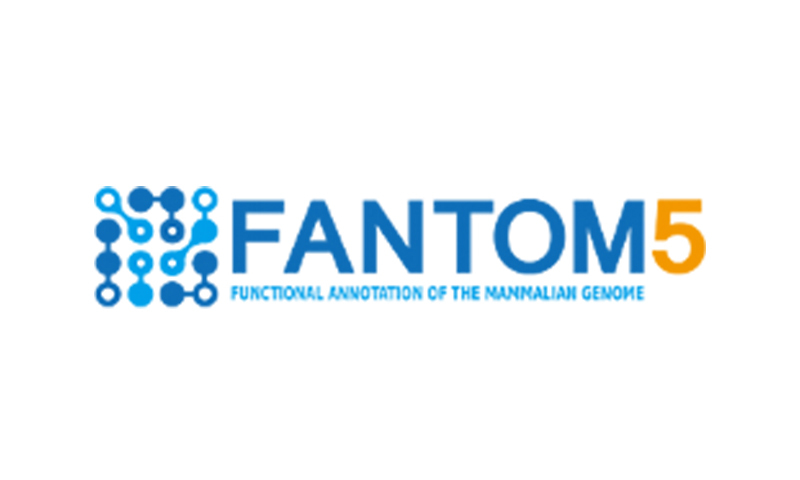 FANTOM, a large international consortium led by RIKEN releases today the first comprehensive map of gene activity across the human body, and provides the first holistic view of the complex networks that regulate gene expression across the wide variety of cell types that make up a human being. 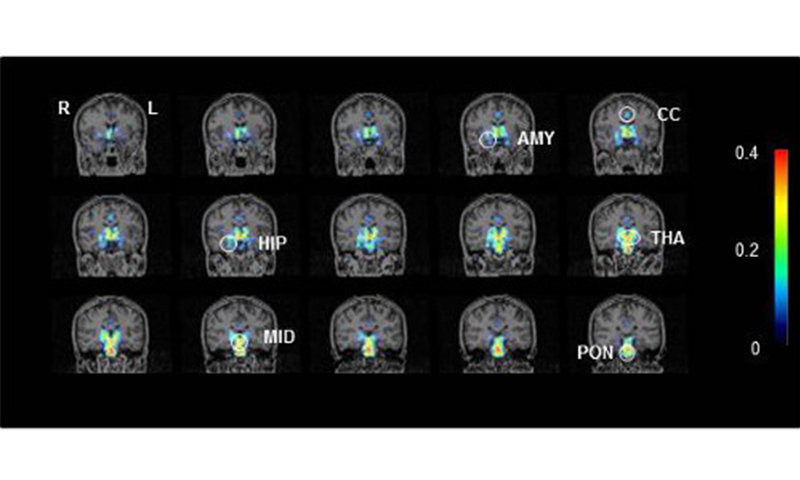 Scientists at the RIKEN CLST have used PET imaging to visualize the distribution in the body of copper, which is deregulated in Menkes disease, a genetic disorder, using a mouse model. An international team of researchers including members of the CLST has shown the existence of overlapping core promoters in the zebrafish. 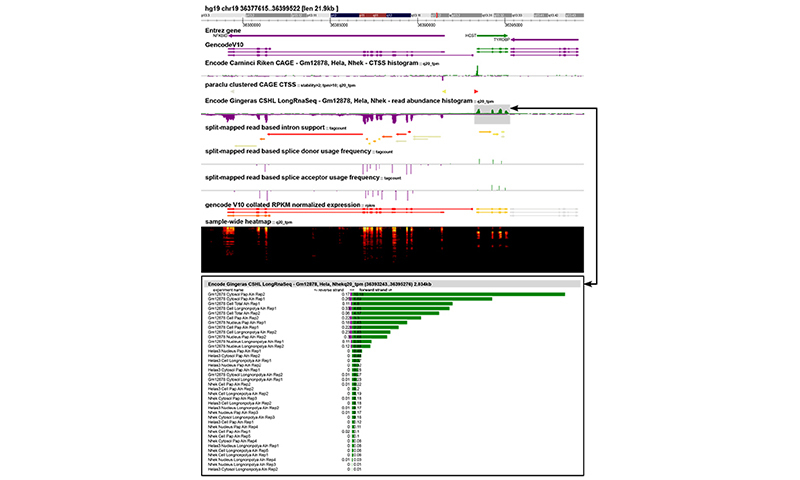 ZENBU, a new, freely available bioinformatics tool developed at the RIKEN CLST, enables researchers to quickly and easily integrate, visualize and compare large amounts of genomic information resulting from large-scale, next-generation sequencing experiments. 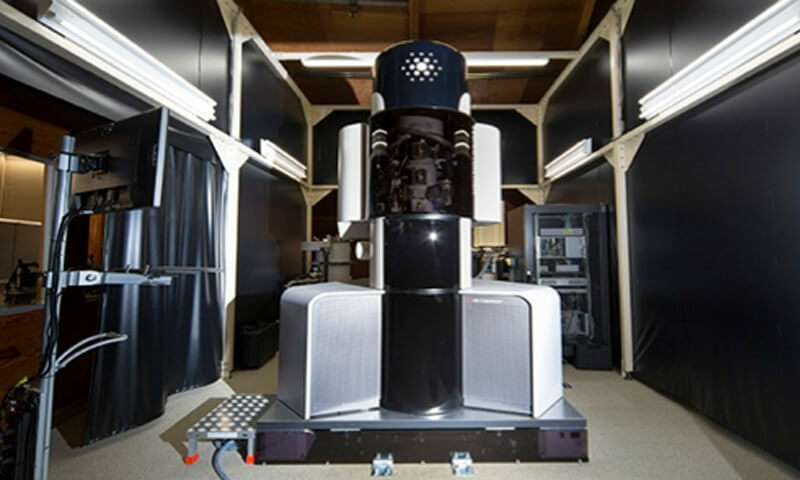 An electron cryo-microscopy (cryo-EM) was introduced in Yokohama Campus. 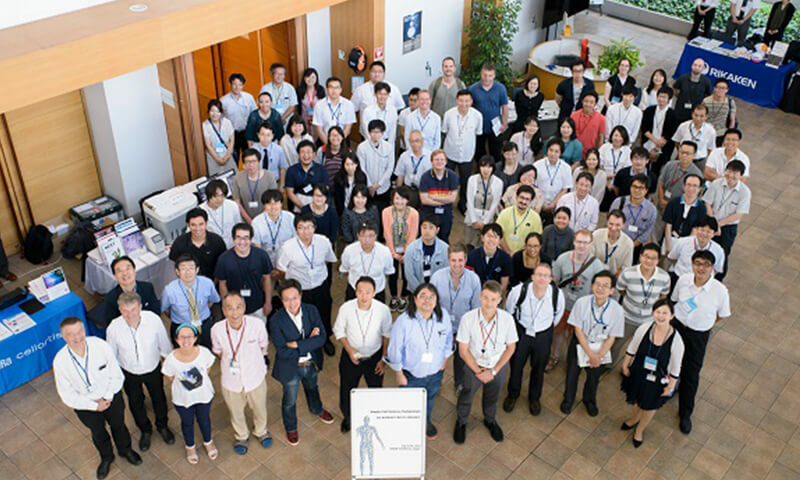 > "Structural analysis of bio-macromolecular complexes in electron cryo-microscopy"
CLST Kick-Off Symposium “The New Universe of Life Science -Toward establishment of technological platform for molecular network regulation” was held. 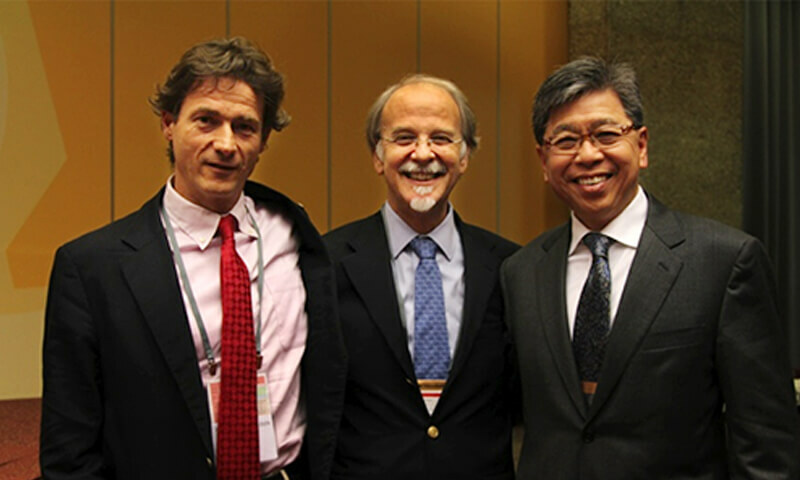 This symposium was commemorating the founding of our center. 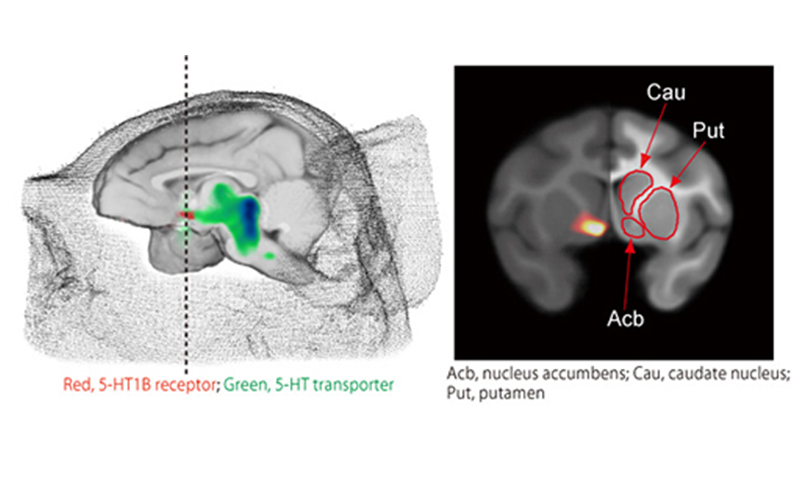 PET molecular imaging of macaque brain reveals that ketamine may act as an antidepressant by boosting serotonin activity in brain areas involved in motivation. 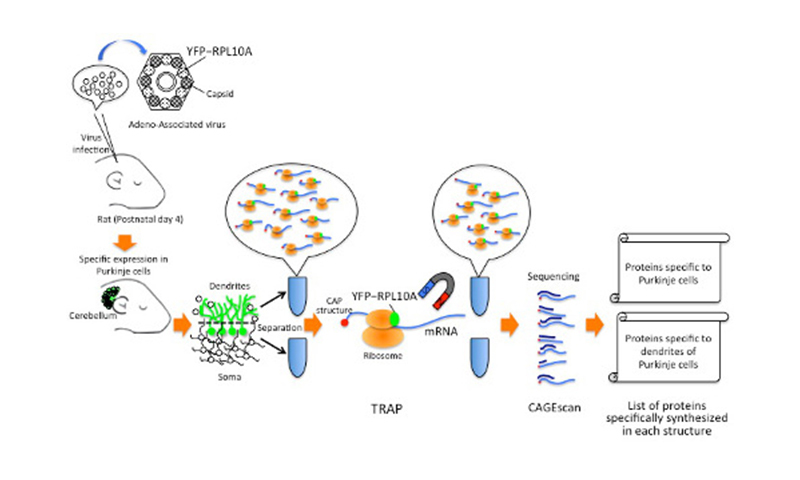 Researchers from the RIKEN CLST report a new method to monitor and quantify the activity of gene promoters during the response to a drug, using the advanced gene expression analysis method CAGE followed by single-molecule sequencing. Center Director’s Strategic Funds was founded. Center Director's Strategic Fund was founded in order to foster young researchers to tackle with ideas/seeds of a new research. Researchers from different fields challenge cross-divisional research projects that take advantage of each strength. At the first year of this fund, 1 project was selected as main study and 2 projects were selected as feasibility studies. 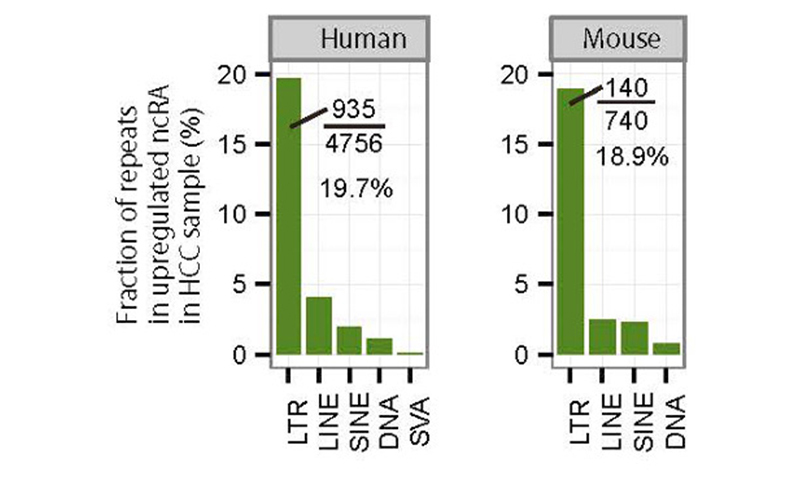 A large study conducted by institutions from 7 countries, including the RIKEN CLST, has revealed previously unknown promoter features involved in the regulation of gene expression. 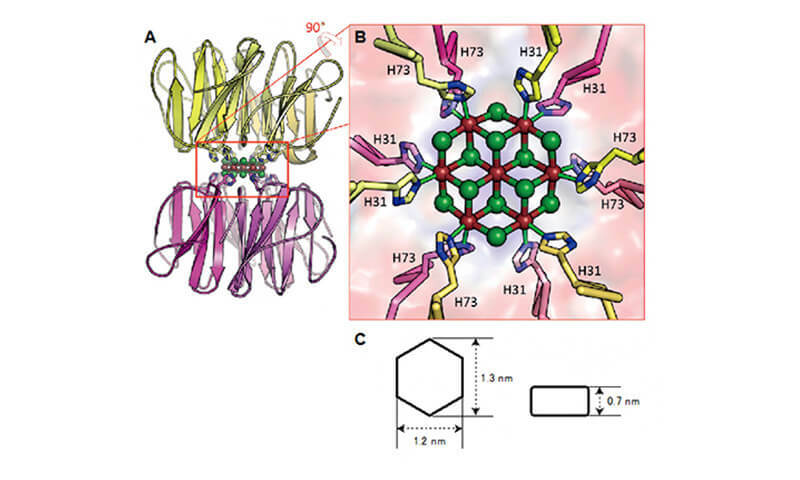 The team from the RIKEN CLST shows that the mutation, a single nucleotide polymorphism (SNP) in a gene that protects cells from oxidative stress, is found four times more frequently in women than in men. 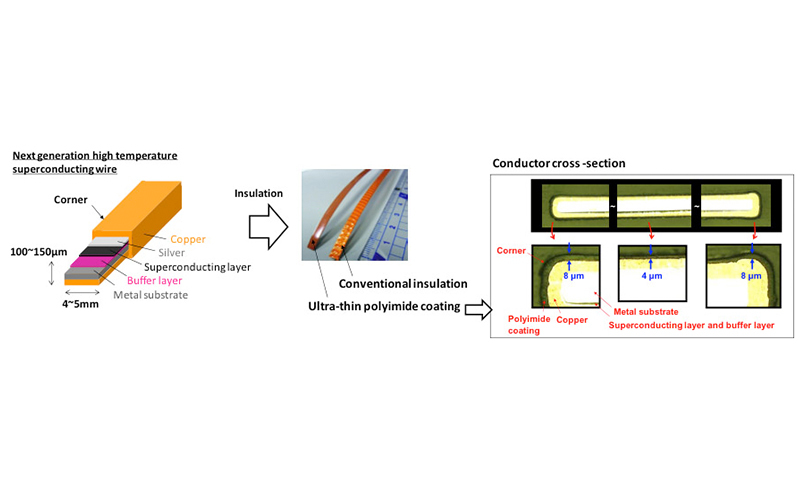 Researchers from the RIKEN CLST and Chiba University have developed a high-temperature superconducting wire with an ultra-thin polyimide coating only 4μm thick, more than 10 times thinner than the conventional insulation used for high-temperature superconducting wires. 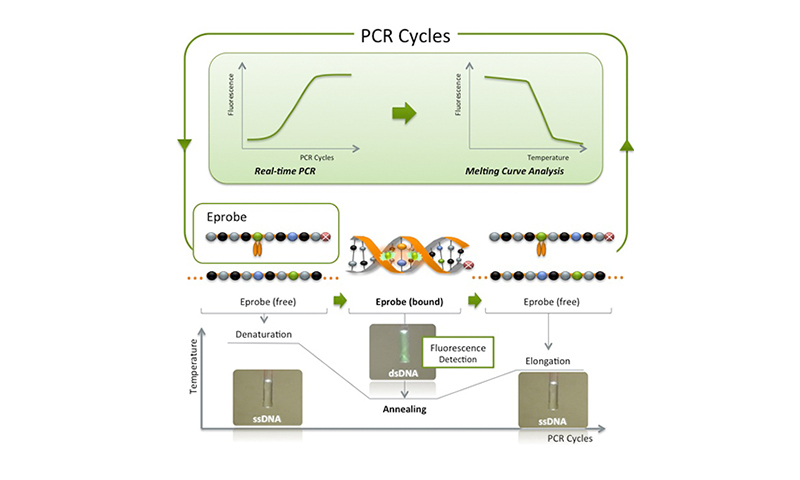 Eprobe®, a highly efficient and reliable fluorescent probe for PCR DNA amplification techniques and DNA analysis in hybridization experiments, has been developed by researchers from RIKEN and Japanese firm K.K.DNAFORM. The 1st CLST Retreat was held. 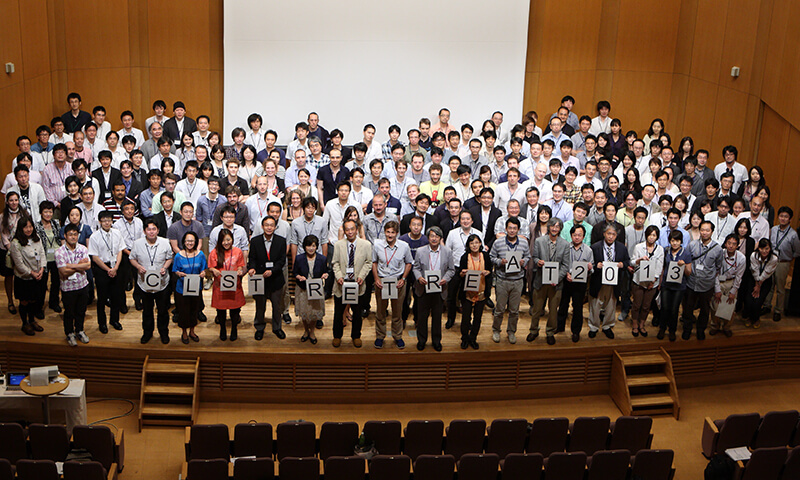 Promoting mutual understanding among the divisions to facilitate highly specialized research, a CLST Retreat 2013 was held bringing together members of the Center's research, technical and support staff in Maiko, Kobe city. 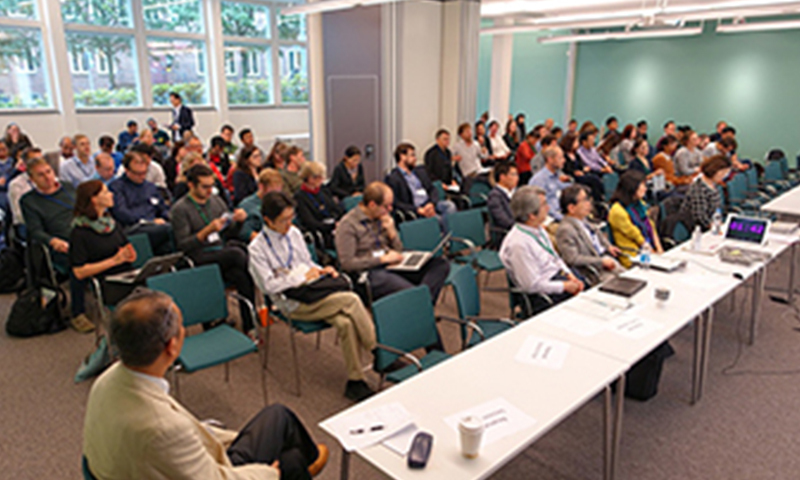 Through lectures and poster sessions, attendees further deepened their understanding of each other's research areas. We affirmed the importance of opportunities to acquire basic knowledge that will promote a new joint research across research fields. 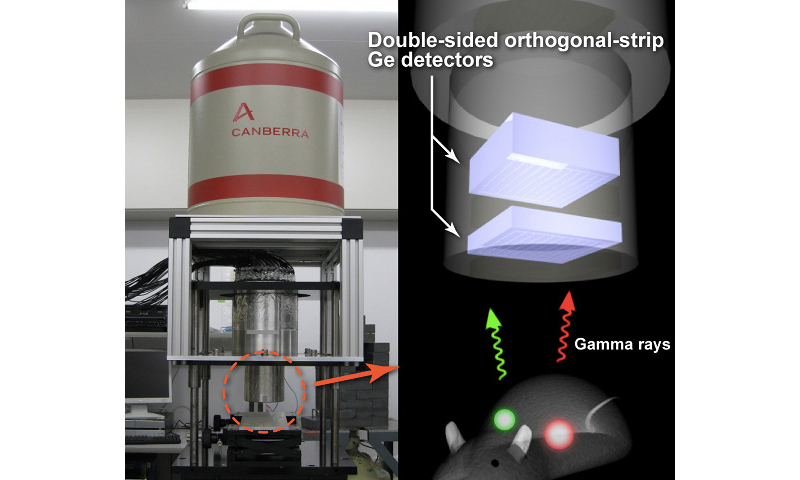 Researchers from the RIKEN CLST have developed a new molecular imaging technology that enables them to visualize bio-metals and bio-molecules simultaneously in a live mouse. 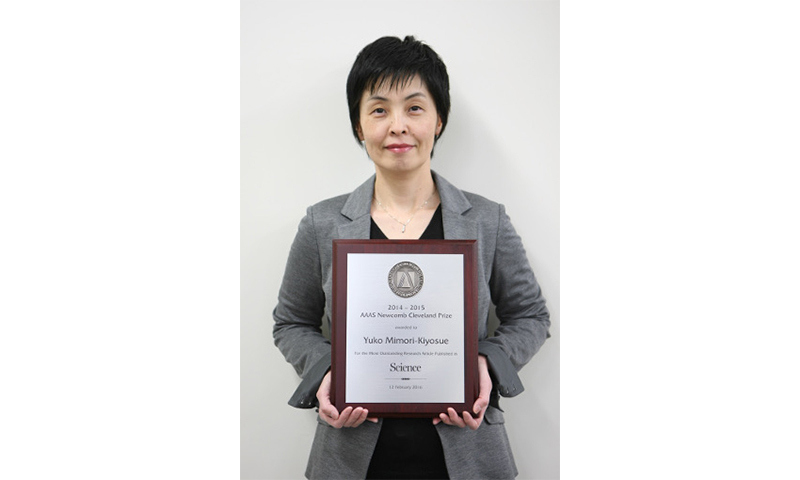 CLST, the Center for Life Science Technologies was established from a merger of the CMIS (Center for Molecular Imaging Science), OSC (Omics Science Center) and SSBC (Systems and Structural Biology Center). To promote life innovation research, we aim to integrate knowledge and technologies for measuring and analyzing the molecular functions that keep life, from the atomic level to the levels of cell, organ and individual organism. 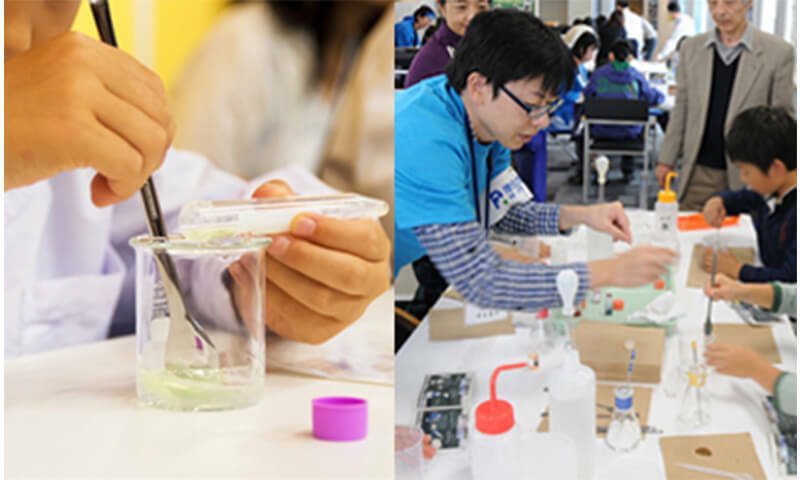 Our center started with 3 divisions, 2 facilities and 37 laboratories, working at three sites of Yokohama, Kobe and Wako. 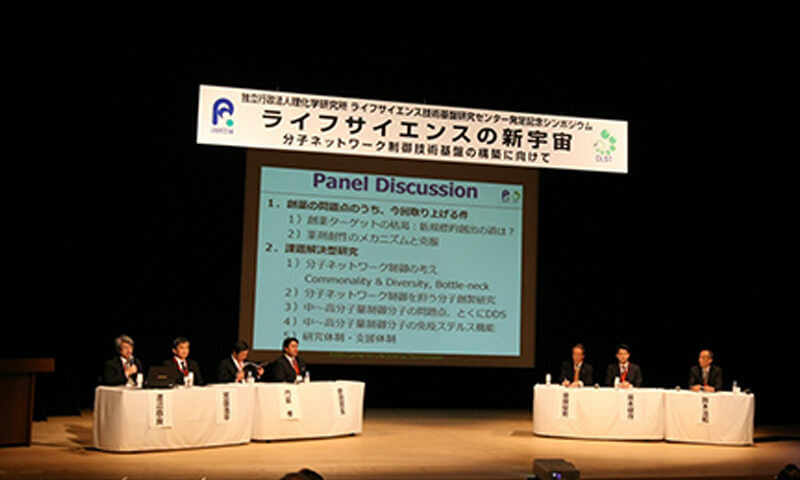 Furthermore, Center Director's Strategic program was launched in order to promote integrated research activity within center. This program adopts a "matrix management" across three divisions.